A cowboy arrived at a ranch with his horse on Moday, dropped off his horse and left it there. Then left on Friday. How did he leave? His horse was named Friday. 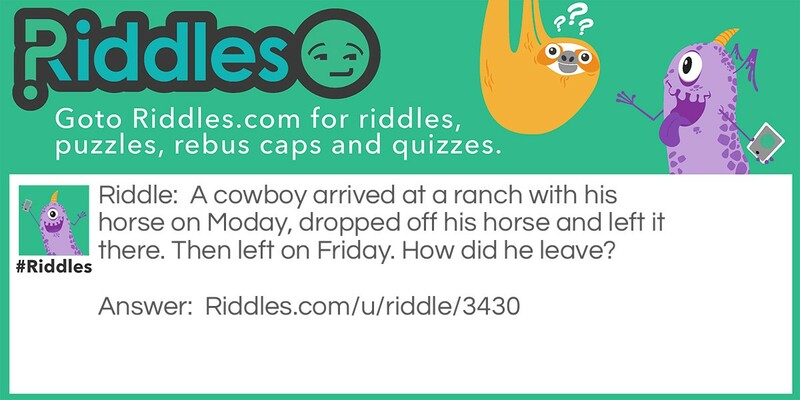 Cowboy Riddle Meme with riddle and answer page link.